DevOps (short for development and operations), like most new approaches, is only a buzzword for many people. Everyone talks about it, but not everyone knows what it is. 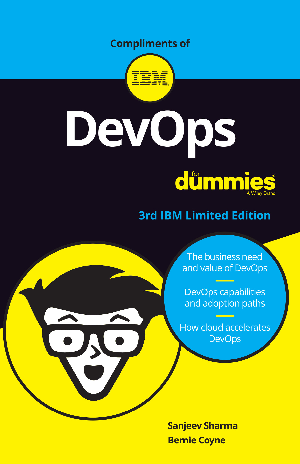 In broad terms, DevOps is an approach based on lean and agile principles in which business owners and the development, operations, and quality assurance departments collaborate to deliver software in a continuous manner that enables the business to more quickly seize market opportunities and reduce the time to include customer feedback. Indeed, enterprise applications are so diverse and composed of multiple technologies, databases, end-user devices, and so on, that only a DevOps approach will be successful when dealing with these complexities. Opinions differ on how to use it, however.